Seasonal cleanses have been customary within indigenous societies for millennia. These herbal and food-based cleansing therapies were usually performed during the change of seasons. The transitions that occur during the Autumn and Spring months are quite conducive for release of ‘the old’ in order to make room for ‘the new.’ Leaves die in the Fall, new growth sprouts in the Spring. The major detoxification organs of the body also require an annual rejuvenation of sorts. The liver, colon, and kidneys especially benefit from cleanses which purge the accumulated sludge and stones. Of these three, it is the liver and gallbladder which have been under particular stress from years of toxin overload. 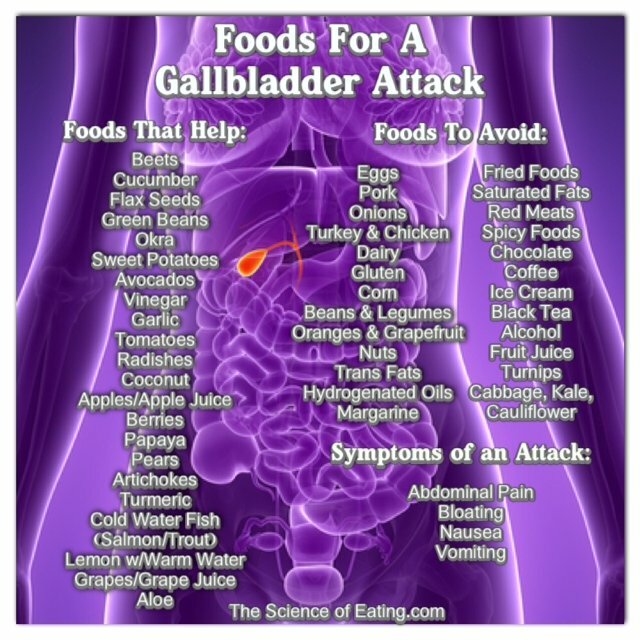 Especially for those who are still addicted to the American diet is the necessity of conducting a gallbladder flush / liver cleanse quite important. It has been estimated by some experts that the average American liver has between 1000 and 5000 gallstones by the age of 50. That includes very small stones and gall-pebbles, hardened bile and calcium deposits as well. How did this predicament become so common? When the bile stops flowing normally, the bile ducts will become blocked. 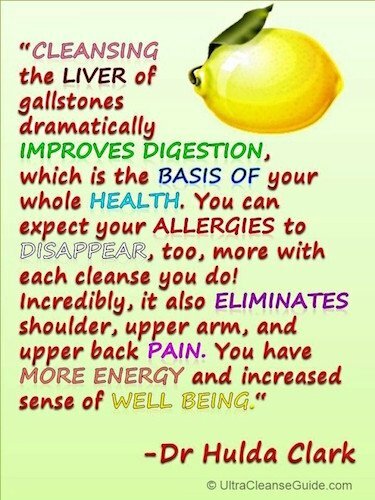 The natural release of gallstones slows down considerably. This inevitably causes the liver to become congested with unreleased gallstones, hardened bile, cholesterol and calcium deposits, chaff, and other waste product accumulations. The longer these sit in the liver, the more that the normal detoxification pathways will become compromised. Eventually the liver and gallbladder can be set up for organ failure. This is witnessed by many a surgeon who performs the most popular surgery in the USA — the Cholecystectomy, also known as the surgical removal of the gallbladder. The single best way to avoid a Cholecystectomy is to conduct a regular gallbladder flush, which also serves as a liver cleanse. There are several types of flushes; some are much more effective than others. However, because of various health issues such as food allergies, some folks tolerate more gentle approaches than the powerful liver/gallbladder flush formulated by Dr. Edward Group or Dr. Hulda Clark. Both Dr. Edward Group and Dr. Clark’s protocols are very simple and not very time-consuming, so they can be performed by the busy professional. It revolves around dietary alterations and a process some find distasteful because it utilizes a couple of oral doses of EPSOM Salt. However, magnesium sulfate is so effective in dilating the bile ducts that it is really quite essential. So is the olive oil-grapefruit juice potion. Here, again, it is the olive oil that will cause the liver to convulse in order to force the gallstones out of the liver and gallbladder with large amounts of fast-flowing bile. Because these protocols call for dietary changes for a short period of time prior to the flush, bile will build up in the liver as desired. For anyone who is experiencing chronic gallbladder dysfunction or liver pains, these flushes have the potential to clear up the problems — FAST! Even those with Hepatitis C have greatly benefited from this cleanse because the inflammation often decreases with the decongestion of the liver. Natural Society highly recommends checking out Dr. Group’s Livatrex to start your liver cleanse off effectively and without worry that you may be using a low-quality product that could actually be loading you up with more toxins than before. Alternatively, here is an excellent version of the Hulda Clark Liver Cleanse / Gallbladder Flush protocol. This particular version has been refined over many years and is much easier to tolerate than the original program. Gallbladder attacks have now become more numerous than heart attacks; albeit, not nearly as serious. However, they can be much more painful depending on how big of a gallstone is being passed. A great way to avoid such a distressful experience is to keep the gallbladder and liver as free as possible of gallstones and other toxic waste products … so that they don’t try to come out when you least expect it.